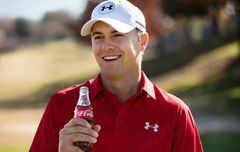 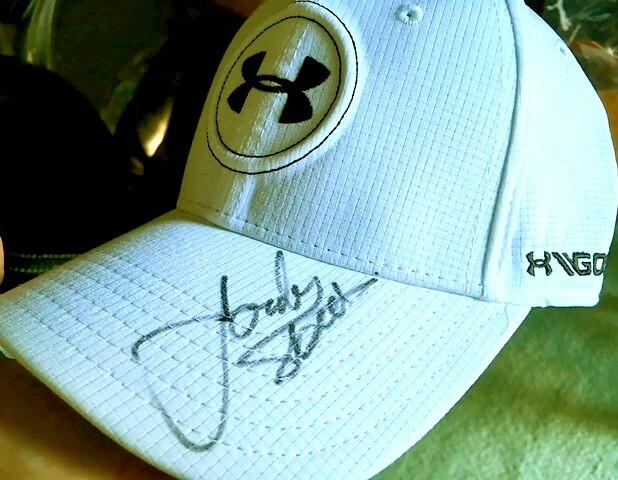 Jordan Spieth Under Armour golf white personal model cap or hat autographed on the bill in black marker with a full name signature that he seldom signs. 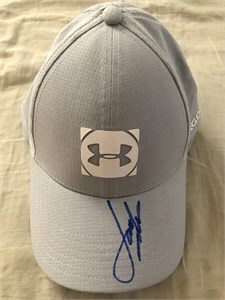 Obtained in person at 2016 WGC Bridgestone Invitational, with certificate of authenticity from AutographsForSale.com. ONLY ONE AVAILABLE FOR SALE.